It all started in 2004 when Peniel was a church planter in Paraguay. A pastor came to their house and encouraged Peniel and his wife not to create roots in Paraguay—that God had a work for them in another country, and they would reach many people with the Word. Peniel didn’t want to accept that, but a week later a young man visited, saying that God had a word for him and told him the same thing. During the following year, many people told him that God would take them to another nation. He and his wife began to pray, and one day God gave them a word: BOLIVIA. In 2006 they gave up their church, sold everything they had, and went to Bolivia. He and his wife used material brought from their ministry in Paraguay as they began to evangelize with the goal of opening a church. Doors began to open. Peniel’s uncle in São Paulo, Brazil sent boxes of WMP Scripture booklets to help the work. 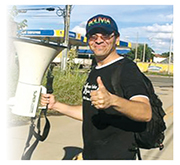 In their first full year, they distributed booklets to more than 150,000 people in their city of 1½ million, targeting places where there was “an intense flow of people” and other towns and villages as far as the border of Brazil. The following year, desiring only to take the Word to hearts and trusting God to open doors, Peniel sent an appeal directly to WMP, requesting 300,000 Spanish booklets! The work in Bolivia is divided with a point of support in each main city. 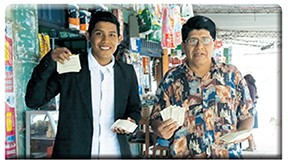 The aim is to support local evangelists as they, “in the movement of God, voluntarily,” reach thousands of lives through various unique ministries. Each point of support leader is a local evangelist who identifies others who are consistently evangelizing and each month reports to Peniel the work being done, the evangelists being supported, and the areas being reached. By 2016, the number of evangelists being supplied through Peniel was so large that WMP sent 500,000 booklets (1,000 boxes), which arrived in March, 2017. Peniel sent his thanks on behalf of all the evangelists in Bolivia who benefit from WMP’s support. Peniel’s approach to supporting and training local evangelists has drawn interest in other countries. He has sent information about WMP booklets and follow-up to workers in Italy, Cape Verde, Peru, Portugal, Republic of Congo, South Africa, Brazil, Poland, Philippines, Chile, and Ecuador. As Peniel and his wife continued to pray every morning for guidance, their burden grew to share their vision and to pass on to others what God taught them about evangelism through literature—not using it merely to promote their churches, but to understand that they are taking to sinners the wonderful Word of God in print. To support this growing and vibrant ministry, WMP is planning a shipment of 729,600 Scripture booklets and Bible studies. What a privilege it is for World Missionary Press to provide resources for partners like Peniel and his teams in countries all over the globe! Men and women are faithfully taking the Word to the world. God’s call to them to go is also God’s call to us to be faithful in providing Scripture booklets. As their ministries grow and spread, so does the need for booklets. 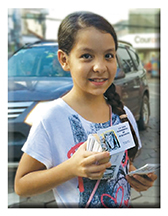 “I was handed The Way to God booklet by a street evangelist who helped to point me to Jesus and look to the Lamb to follow Him wherever He goes. That was almost nine months ago, and my life has been changed tremendously. This booklet helped me, and I will pass it on to friends, family, strangers, and enemies alike to introduce them to His ways. I would like to show others the narrow and straight path, bringing them to Jesus. 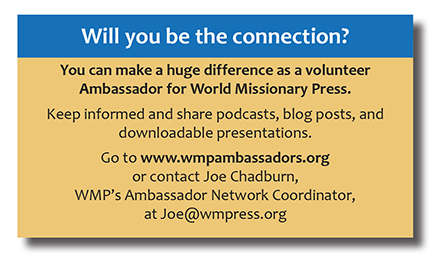 I heard about World Missionary Press through Andrew, a family friend who works at WMP, when he messaged me about a graphic design position there. I had just graduated from Grace College and was waiting for God to lead me somewhere, when God opened the door to a possibility at WMP. After getting a tour from Andrew, meeting some of the people, and hearing about the mission at WMP, I knew God was leading me here! I just felt an overwhelming sense of peace and comfort. I knew it was a sign from God, so I took the leap of faith and decided to join the WMP family. I’ve been working here since June, 2018. The best part about WMP is the people. It’s amazing how God has placed such a wide variety of personalities, talents, and backgrounds into one organization to work together spreading the Good News around the world. Seeing everyone’s passion for God and love for others is truly inspiring. When I’m not working, I enjoy canvas painting, traveling, spoiling my pets, and watching movies. I love drinking coffee with friends, beating my family in card games, playing with my puppy and my cat, yelling at the TV during football games (go Steelers! ), and sleeping. I live in Pierceton, Indiana, with my family and fur-babies. I have a sister, two brothers, a sister-in-law, and a niece or nephew on the way! 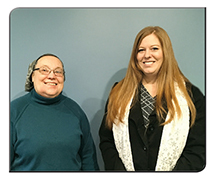 Helen W. and Alison B. Each year WMP produces millions of Scripture booklets, now in 348 languages—as well as Bible study booklets and New Testaments. But printing isn’t the final goal. They must somehow get to people all over the globe. How do we do that? Helen W. and Alison B. weigh in. 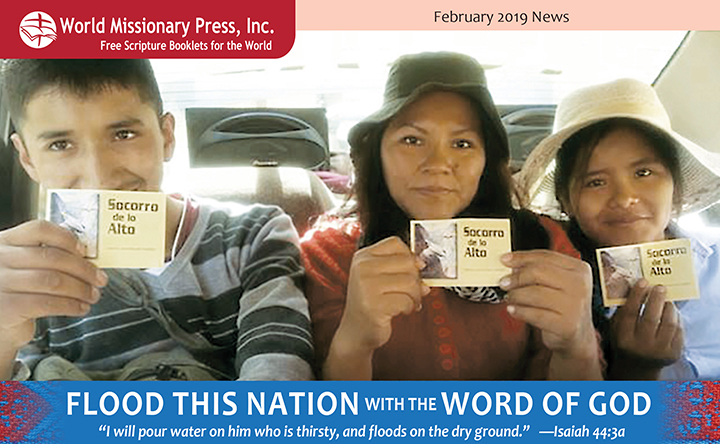 How does World Missionary Press send booklets around the world? At one time material was sent overseas in ten-pound boxes via postal system “book rate.” Over time postal costs per box grew dramatically to as much as $70 per box and the quantities shipped to many nations increased. 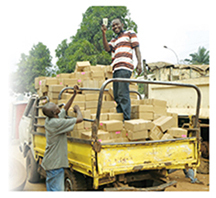 It became more cost-effective to ship quantities of boxes by sea containers to reliable volunteer national coordinators who could receive large shipments and then get the Word of God distributed to the people of their nation. Sending 1-2 million booklets via 20-foot and 40-foot sea containers to selected contacts in each country can save as much as a hundred thousand dollars per container or more in mailing expense. What is the role of WMP’s national coordinators? Volunteer national coordinators, proven to be trustworthy, have a heart for reaching their countrymen with the gospel of Jesus Christ. 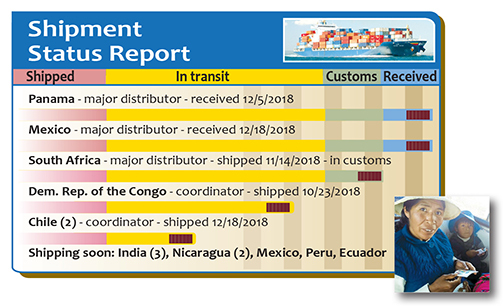 They communicate regularly with WMP regarding their inventories, ordering new shipments, overseeing distribution within their nations, and providing documentation for financial reimbursements of customs charges and distribution expenses. It can be a heavy responsibility to receive a shipment, steer it through customs, store the boxes, and wisely distribute the literature to local ministries and individuals who request it. 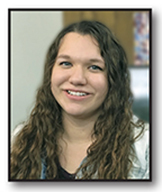 What is the need for Scripture booklets? The need for Scripture booklets expressed by WMP’s national coordinators and major distributors is overwhelming. The current backlog of orders will take almost two years to fill at our current rate of production. Many coordinators must wait a year or more before receiving a container-sized shipment once they submit their order. WMP’s coordinator in Madagascar recently sent a photo showing empty shelves, pleading for material. A coordinator in Ecuador, out of material since June, is desperate for a new consignment. A 40-foot container to Nigeria with 1.7 million booklets, received in August, was dispersed in just a couple of months as the backlog of requests was filled. What is the process involved to ship containers? When production of material for a freight shipment is completed, WMP prepares the necessary invoicing and import documentation for shipping and receiving the container. Alison then communicates with freight forwarders, who assist in contracting the shipment to an ocean freight company. Freight forwarders quote on pricing and arrange for pick-up at our warehouse and loading on a specific ocean liner. 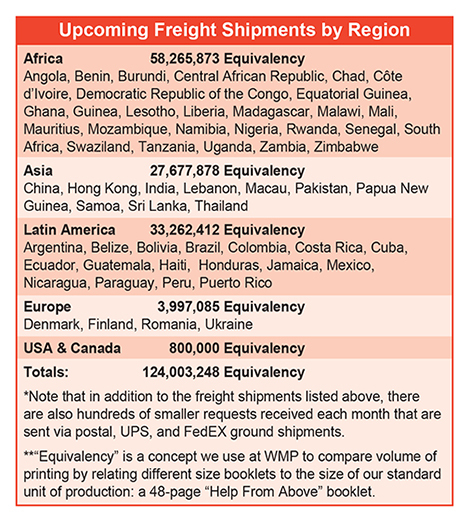 They clarify each country’s shipping rules and regulations. Changes in shipping regulations are sometimes implemented while the shipment is in transit! Freight forwarders help us respond to such unforeseen issues to minimize delay in the customs process, while keeping our consignee informed. Once the ship docks in port, our coordinator must work with customs officials to release the container as quickly as possible. In many countries this can be a difficult and time-consuming process. What is a typical reaction when the shipment is released? We know that God is in control and that His Word will fulfill all His purpose. As we see His hand on each shipment sent, we are reminded to trust His ways and His timing, no matter what comes!